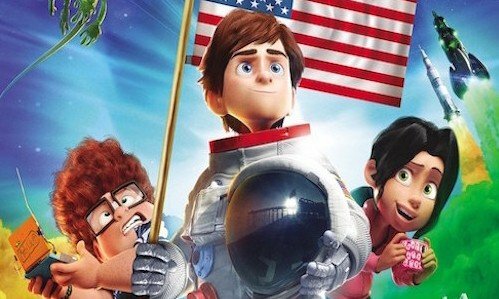 This weekend sees the release of this 2016’s first major animated film for all the family, in the form of Paramount Pictures‘ new galactic adventure Capture The Flag. To mark the event and get you in the mood for the film, our friends at Substance have put together some classic examples from cinema of what it means to have that ‘special’ connection with your grandparents. Mike’s estranged Grandpa never got his chance to fly to the moon with Neil Armstrong and Buzz Aldrin on the Apollo XI mission and Mike is desperate to break the family curse by travelling to the moon, but he needs the help of Grandpa Frank. A fantastic adventure brings the family closer together as they embark on the mission the family name was always destined for. Capture the Flag lands in the cinemas on 29th January and to celebrate we’ve collated some of the greatest grandparent bonds in cinema. Based on the book by Roald Dahl that’s set in a quaint seaside resort, all is not as it seems. Luke Eveshim and his Grandmother, Helga, stumble onto a witch’s plot to turn children into mice. When Luke’s friend, Bruno is captured by the Witches and he himself is turned into a mouse he has to work with Helga to topple the evil Witches’ masquerading Royal Society for the Prevention of Cruelty to Children. Capturing the essence of Roald Dahl’s writing The Witches remains one of the greatest adaptations of his work to date. In the opening scene of National Treasure a young and impressionable Ben Gates sits captivated listening to his Grandfather’s story about the legendary Templar treasure, the formation of the Free Masons and the clues to the whereabouts of said treasure that hide in plain sight. Nicolas Cage takes on the role of a modern Indiana Jones as Ben Gates and we join his fascinating journey through legends and myths that culminates in a fight to discover his Grandfather’s dream. This heartfelt generational bond feels extra special in the closing moments, but I’ll let you discover that for yourself. In this coming-of-age rom-com, Anne Hathaway stars as Mia Thermopolis in her breakout role. An unpopular, unambitious teenage lay-about gets the shock of her life when her Grandmother drops in for a visit. Unbeknownst to Mia, she is actually the heir to the throne of Genovia and is given the opportunity of a life time to break out of her cringe worthy unpopularity at school and bad habits for a life as a Princess. As Mia bonds with her grandmother, Queen Clarisse (Julie Andrews) she learns the values of a true Princess and how to cope with her unfashionably uncontrollable hair. This heart-warming story has required a good many tissues over the years for its emotional storytelling and captivating characters. Shy evacuee William Beech is sent to the countryside during the height of the Second World War to live with disgruntled Mister Tom to escape the blitz looming over London. Still reeling from the loss of his wife and child, Tom’s attitude toward William is cold and bitter at first but they eventually form a beautiful relationship as William’s troubled life reveals itself. A touching heartfelt story that sets Tom up as William’s surrogate grandfather and gives him the life he deserves. Robert Duvall (Hub) and Michael Caine (Garth) play two cranky, mischievous, and well-lived bachelors living out their lives in relative comfort. Until their great-nephew Walter, played by Haley Joel Osment of Sixth Sense stardom, is left on their doorstep for the summer. Walter senses a chance for a new life and gradually wins over the affection of his great-uncles. Secondhand Lions is a fantastic story dealing into rich histories and great relationships, the likes of which are often missing from today’s cinema. Pixar’s 2009 adventure is very much a family film. Beginning with one of the most touching openings of their emotional canon, we’re taken from the comforts of home and the innocence of youth to Carl Fredricksen, a cynical old man determined not to be bullied out of his home by local land developers. The contrast is heart-breaking but there’s hope yet. When an annoying motor mouthed Cub Scout named Russell comes knocking to attain his, ‘Assisting the Elderly’ badge he sets off on an adventure to Paradise Falls in a balloon powered house. Making new friends along the way both Carl and Russel come to terms with their lives of living in obscurity and form a magical relationship.